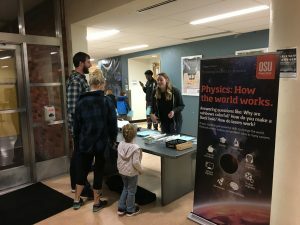 Astronomy Open House strikes again! 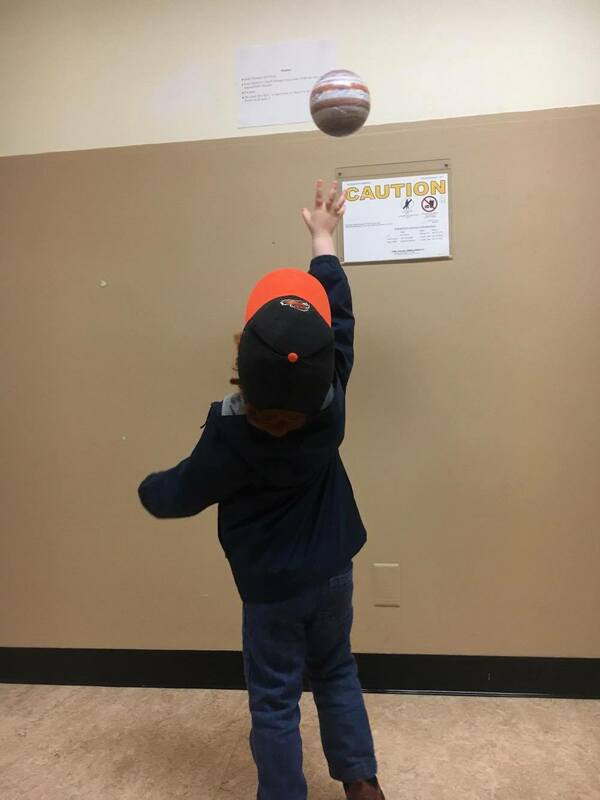 At the most recent Astronomy Open House, on February 17th, many tried to reach for the… planets? 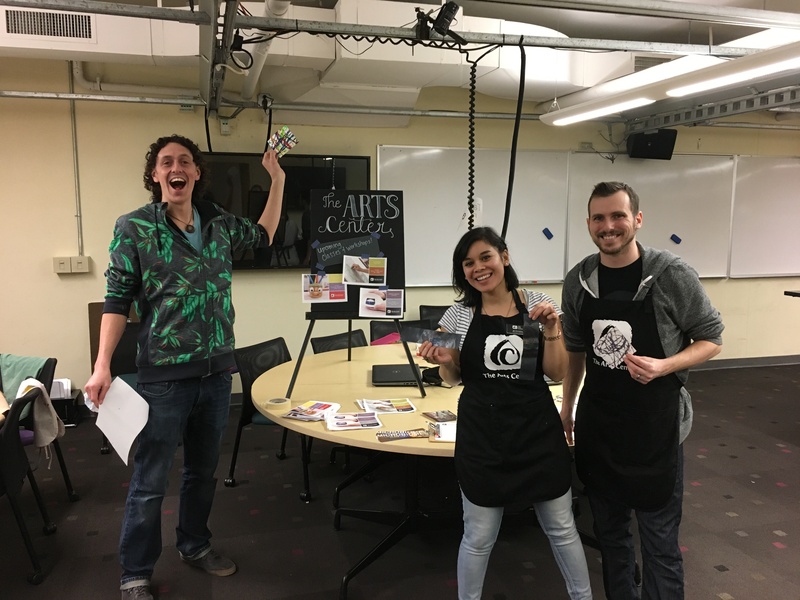 The newly formed OSU Astronomy Club and the Department of Physics hosted the most recent Open House with invited activities by the Corvallis Public Library and the Corvallis Arts Center. 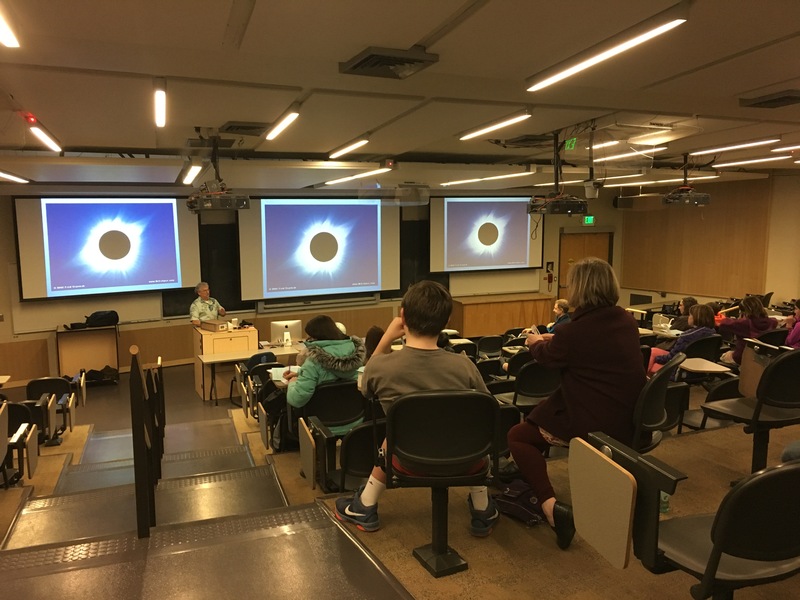 The event also featured Tom Carrico of the local amateur astronomer club: Heart of the Valley Astronomers who talked about how to view an eclipse safely. 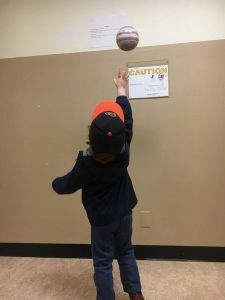 At the event, parents, college students, and children alike, learned about how telescopes work, how astronomers identify what stars are made of, what causes the seasons, and the different types of shadows formed by an eclipse! 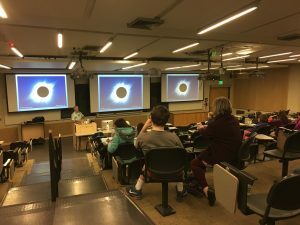 Once each person completed their activity sheet, they were able to get a free commemorative eclipse poster about the upcoming Total Solar Eclipse in August. Everyone seemed to love the event, and the OSU Astronomy Club is working to make the event even better than it already is, especially with anticipation growing for clear weather for the next Open House! So be sure to keep an eye on facebook.com/osuastronights to hear about the next exciting Astronomy open House! We hope to see you there!